Stop Debt Collectors Harassment Now!! Debt collectors sometimes cross the line in their attempts to obtain payment. They are hoping that you aren't aware of the legal restrictions of what they can and cannot do. Debt collection practices are regulated by both State and federal laws. Debt collectors are legally prohibited from doing many things, including threatening or harassing you, contacting you at inconvenient times or places, telling others about your debt, continuing to contact you if you have requested that they stop, and many other unfair and abusive practices. Under the FDCPA (Fair Debt Collection Practices Act), you have the right to sue a debt collector who violates the law, in a state or federal court within one year from the date of the violation. If you win, you may recover money for the damages you suffered or statutory damages up to $1,000. Court costs and attorney's fees can also be paid for by the collector. Contact us today Alex Simanovsky & Associates or fill out our form for a free fair debt case review. What is a debt collector? A debt collector is any person who regularly collects debts owed to others and the attorneys who collect debts on a regular basis. Money owed for the purchase of an automobile, for medical care, or for charge accounts. A collector may contact you in person, by mail, telephone, telegram, or fax. A debt collector may not contact you at inconvenient times or places, such as before 8 a.m. or after 9 p.m., unless you agree. A debt collector also may not contact you at work if the collector knows that your employer disapproves of such contacts. You can stop a debt collector from contacting you by writing a debt dispute letter to the collector telling them to stop. Once the collector receives your letter, they may not contact you again except to say there will be no further contact or to notify you that the debt collector or the creditor intends to take some specific action. Please note, however, that sending such a letter to a collector does not make the debt go away if you actually owe it. You could still be sued by the debt collector or your original creditor. If you have an attorney, the debt collector must contact the attorney, rather than you. If you do not have an attorney, a collector may contact other people, but only to find out where you live, what your phone number is, and where you work. Collectors usually are prohibited from contacting such third parties more than once. In most cases, the collector may not tell anyone other than you and your attorney that you owe money. Within five days after you are first contacted, the collector must send you a written notice telling you the amount of money you owe; the name of the creditor to whom you owe the money; and what action to take if you believe you do not owe the money. 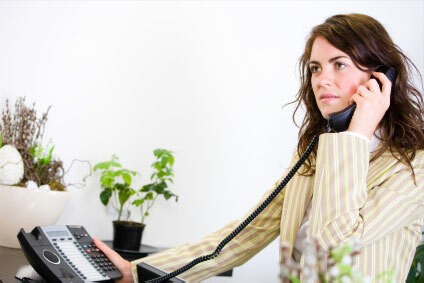 May a debt collector continue to contact you if you believe you do not owe money? A collector may not contact you if, within 30 days after you receive the written notice, you send the collection agency a letter stating you do not owe money. However, a collector can renew collection activities if you are sent proof of the debt, such as a copy of a bill for the amount owed. What types of debt collection practices are prohibited? Use obscene or profane language; or repeatedly use the telephone to annoy someone. Indicate that papers being sent to you are not legal forms when they are. Actions, such as a lawsuit, will be taken against you, when such action legally may not be taken, or when they do not intend to take such action. Copyright, Alex Simanovsky & Associates, LLC, © 2009.